More than 1,000 farmers recorded 121 bird species across 950,000 acres during the fifth successive Big Farmland Bird Count. The record-breaking number of farmers took part in the Game & Wildlife Conservation Trust (GWCT)-led count between 9 and 18 February. A total of 25 red-listed species were recorded, with five appearing in the 25 most commonly seen species list. 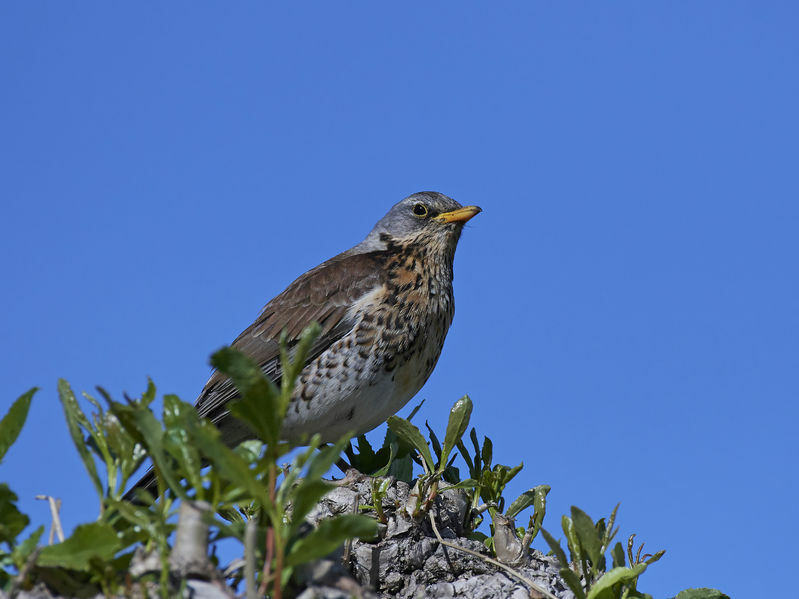 These include fieldfares, starlings, house sparrows, song thrushes and yellowhammers. The most plentiful of these were fieldfares and starlings, which were seen on nearly 40% of the farms taking part. The five most abundant birds spotted were starlings, woodpigeons, fieldfares, rooks and chaffinches. A total of 99,712 were found, making up nearly 50% of the total number of birds recorded – a pattern similar in previous counts. Organiser of the BFBC Jim Egan says he’s "delighted" with the efforts shown from farmers. “To have over 1,000 farmers take part this year, and 2,500 different farmers involved since the count began in 2014, is fantastic,” said Mr Egan. “We can also see from the data collated that 50% of farmers have been helping farmland birds in the recent cold snap. Farmers from every county in England took part and there were also responses from Northern Ireland, Scotland and Wales, as well as 32 farmers from Austria. “Over the past four decades, farmers have carried out a huge amount of work to encourage wildlife and are responsible for protecting, maintaining and enhancing 70% of the nation’s iconic countryside,” Ms Batters said. The survey areas included important environmental features such as hedges, woodland ponds, grass margins, ditches and trees. Most survey sites were next to winter cereals, grassland or overwintered stubbles. The BFBC was launched in 2014 to highlight the positive work done by farmers and gamekeepers in helping to reverse the decline in farmland bird numbers. The count offers a simple means of recording the effect of any conservation work currently being instigated by farmers and gamekeepers on their land.